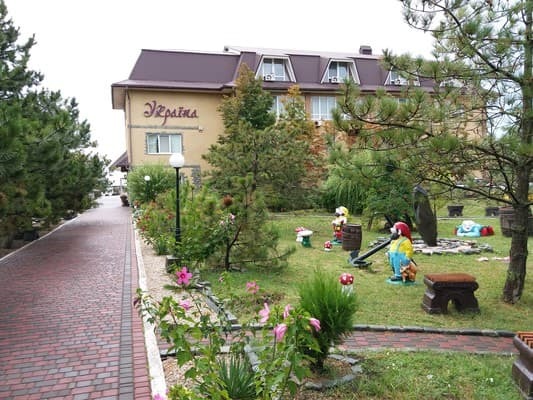 Private recreation center "UKRAINE" is located on the Berdyansk spit (between Middle and Near) on the street. Makarova No. 21 - right on the beach. Direct access to the sea (~ 5 meters) - own (equipped) sandy beach with sun beds and canopies. The open clean sea is not a gulf! A large outdoor swimming pool with clean and warm azure-blue water for adults and a specially-equipped area (shallow depth) for safe bathing of children. 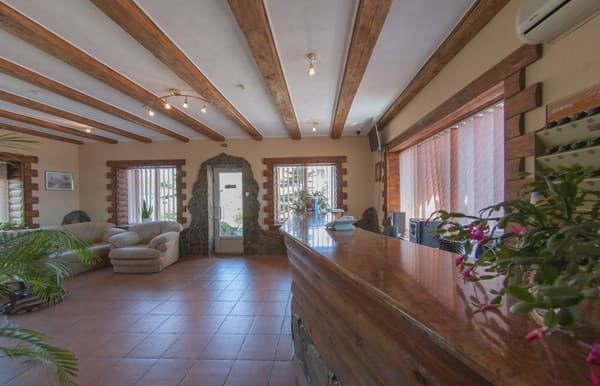 LCD TVs and usual, free internet zone Wi-Fi, air conditioning (split-system), el. teapots; individual safes, refrigerators, modern soft and cabinet furniture, a bathroom (shower, washbasin, toilet), round the clock cold and hot water; toiletries, linens, dishes, etc. * There are rooms with balconies and a panoramic view of the sea! Regularly wet cleaning and bed linen change are carried out. The hotel staff is attentive, it surrounds its guests with warmth and care! 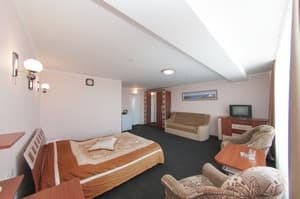 Description of the room: In each room: air conditioning, TV, refrigerator, bathroom, safe, double bed with bedside tables, sofa bed as an extra bed, carpet floor, Wi-Fi in the room. Toilet accessories (shampoo, liquid soap), a set of towels (facial, bath), beach towels. The room has round-the-clock hot and cold water. Children under five live free of charge, from 5 years old up to 12 extra bed is paid 200 UAH, for an additional extra 300 UAH. 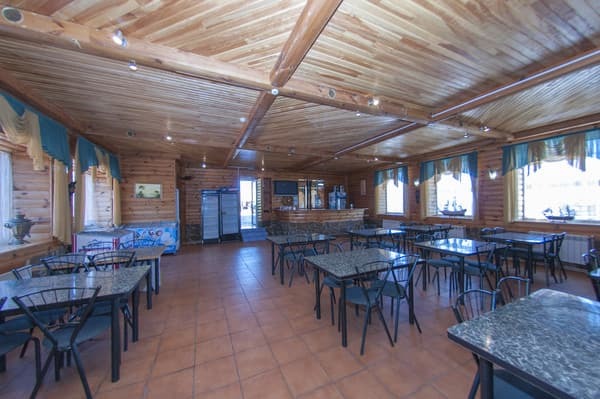 On the territory of the base there is a restaurant and a bar. 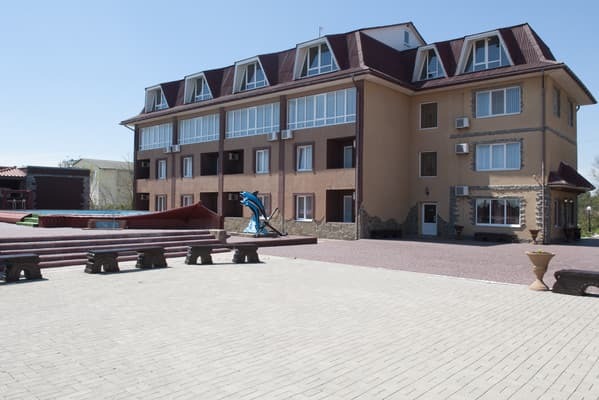 The recreation center "Ukraine" is located on the Berdyansk spit, 5 meters from its own sandy beach. The distance from the recreation center "Ukraine" to the railway station is 11.1 km, to the bus station is 13 km. From the bus station by shuttle bus number 15, or taxi. From the railway station by the same route or taxi.